(Money magazine) -- Earnings are a predictor of wealth, so you'll want to raise your ceiling. This is part of a special report on 101+ ways to build wealth. In this story, readers and experts weigh in with strategies to bring home a bigger paycheck. Take work on the side. Moonlighting can really pay off. Seasoned business analysts commanded $50 to $90 an hour for temp work in the first quarter of 2012, depending on the region, according to IQNavigator. Software developers got $78 to $107 an hour. Put in an extra 15 hours a month on freelance projects at even $55 an hour, and you'll gross nearly $10,000 more a year. Become a bonus baby. Two-thirds of managers and nearly half of exempt salaried employees got bonuses in 2010, with median targets of 20% and 10% of salary, respectively, reports WorldatWork. Getting in on the plan may be a factor of title, so nose around to see if others at your level get the bonus and what they had to do to achieve it. Once onboard, aim to save 70% of incentive pay, says New Jersey financial planner Saul Simon of Lincoln Financial Advisors. You'll see nice gains in net worth in just a few years. Throw out the first number. People who negotiate starting salaries end up with an average $5,000 more than those who don't, according to a 2010 study. By talking a salary up from $70,000 to $75,000, someone who got annual increases of 3% would earn $134,352 more over 20 years. Your best move, according to separate research: Tell the hiring manager what you want, and aim high -- before he says what he can pay. The "anchor" number sets the bar for the conversation. Hang on a few more years. You wouldn't be the only older guy still coming into the office: Last year workers said they expected to retire at 66 on average, vs. an average quitting age of 60 in 1995, according to a Gallup poll. The benefits of postponing retirement? You can nearly double your annual Social Security pay-outs if you retire at 70 instead of 62, and your extra years of income play double duty, since your nest egg can build through continued saving and delayed draw-down. Put your name out there. Seven in 10 six-figure jobs are earned through networking, according to an ExecuNet.com poll. So, get to know people by joining a trade group and volunteering for a committee. Get a real raise. Don't feel you can stash any more on your current salary? 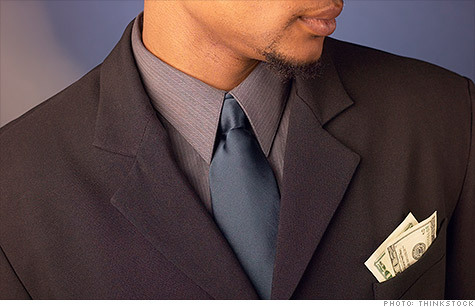 Research from PayScale.com shows that many employers plan to increase workers' pay this year. So if you've waited out the recession, now's the time to ask for more money. Show you're ahead of the class. Employers gave the top 8% of performers a 4.4% pay increase in 2011, vs 2.8% raises for middle-rated folks, HR consulting firm Mercer found. To get the top reward, document -- and quantify -- your major contributions. Prove you're underpaid. Research the range for your title and experience on salary.com, PayScale.com, and glassdoor.com. Then show the info to your boss. "The best data are hyperlocal," says career coach Caroline Ceniza-Levine. Find a rival suitor. Wharton management professor Matthew Bidwell found that external hires typically score up to 18% more pay than workers promoted from within. With employers still under major budget pressures, you may have to prove that the competition is willing to pay you more to persuade the boss to up the ante. Always be in the job market. "Keep trying to advance your earning potential. When my daughter was in college, one prof told the class, "Look for your next job the day you start your first one." -- Tom Hewell, Allentown, Pa.